Sometimes we settle for an illusion of love instead of waiting for the real thing. We settle for relationships that fail to give us the love that we want because we are scared that what we need is too much. We downplay our desires and passions so that we might get a glimpse into what love looks like from the inner circle. But, this “almost love” will never cut it. Because you were created for an incredible, all-encompassing love. So, don’t sell yourself short…wait for the right one. Wait for the one who will love you in spite of your weaknesses. The one whose presence makes you feel like your broken pieces are not unwelcome visitors. The one that embraces your scars, your pain, and your insecurities. Wait for the one who will help you make it through the hard times. The one who you can count on in any emergency. The one who you can depend on to be there when your world starts crashing in. 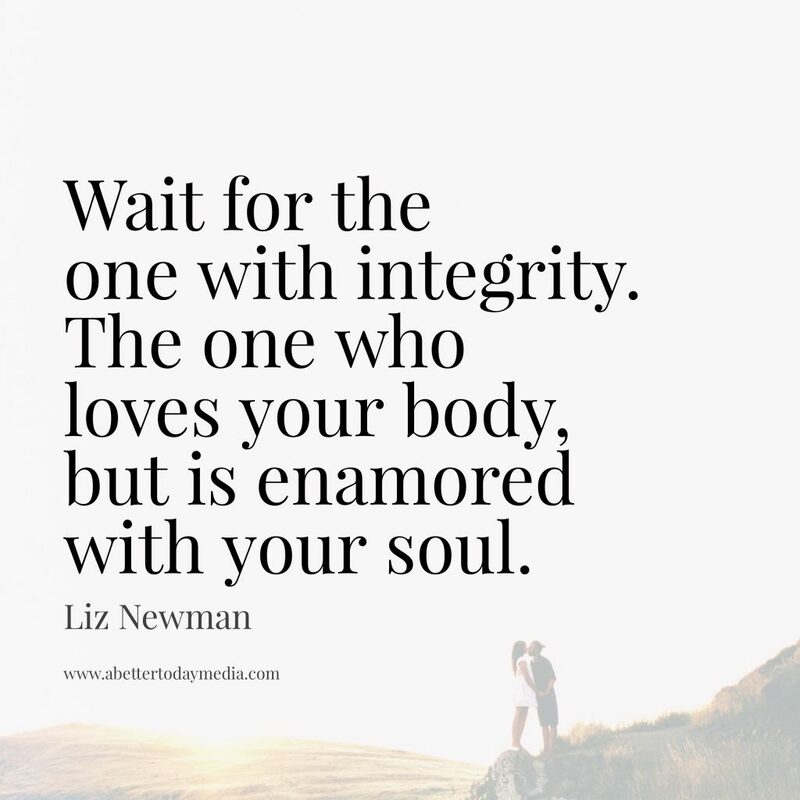 Wait for the one with integrity. The one that loves your body but is enamored with your soul. The one whose passions don’t fade with the passing of time. The one who makes you feel beautiful in every phase of your life. Wait for a love that matters. One that is pure and good and outlasts all of the uncertainties of this world. The love that sees you where you are and helps you get to where you’re meant to be. The one that makes you a better person just for being part of it. Wait for the one who isn’t afraid to take on the honorable task of loving you forever. The one who understands that fights happen and changes occur, but that love does not alter in life-altering circumstances. It remains and it perseveres. Because life is unpredictable. But, love should be your safe harbor. Your vulnerable place. Your unforgettable adventure. So don’t waste all of the wonder and enchantment on someone that can’t give you what you deserve. Wait for the right person. The one that will be your best friend, your partner, and your biggest supporter. Wait for the love that is real. Because it is so worth it.